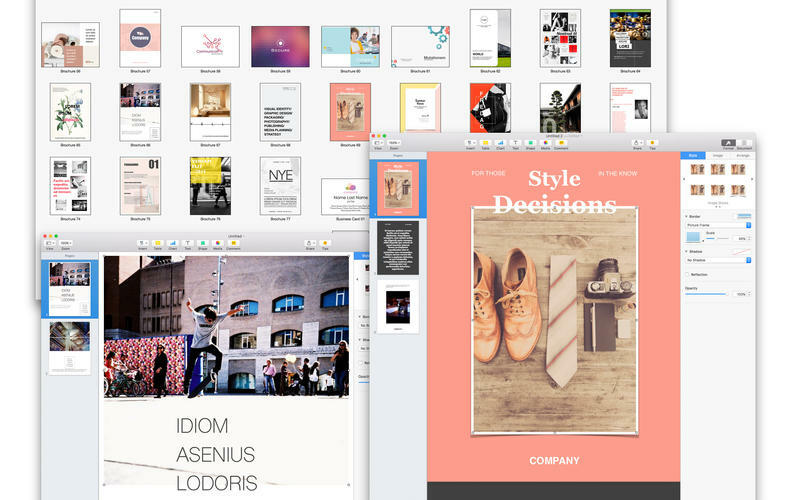 Templates Bundle for iWork - Templates Guru is the ultimate tool for users of iWork, providing you with over 800 templates for Pages, Numbers and Keynote. This collection includes 680 unique designs for your Pages documents, 35 quality presentation themes for Keynote, and 90 spreadsheet templates for Numbers. All templates are easily customizable and available in the US and international page formats. 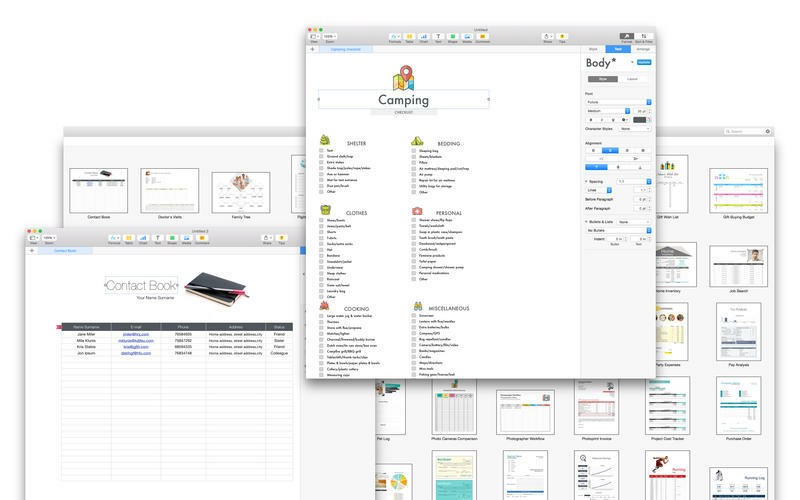 The premium-quality Pages Templates selection offers 680 beautiful and functional designs for Apple’s Pages. It includes an ecclectic mixture of template types, from business proposals and newsletters to posters and certificates. Pages Templates features a captivating combination of modern print layouts and a great deal of creative talent, adding a streak of sophistication to your content. The high-quality Numbers Templates collection contains 90 helpful templates for Apple`s Numbers. Put them to use for your business or personal needs. Sort out your day-to-day tasks without a hitch. Customize the templates to your requirements: create tables, make calculations, generate diagrams, and incorporate images—make your assignments better organized and less demanding. 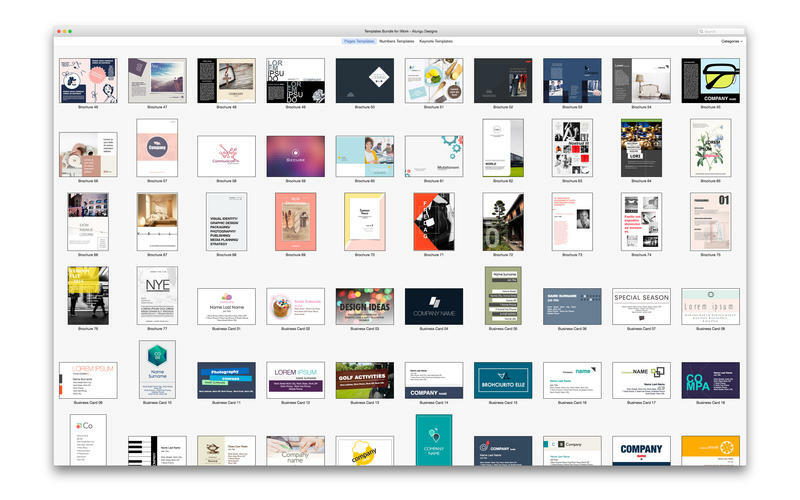 Keynote Templates includes 35 themes for Keynote presentations. These are more than merely good-looking backgrounds—each one of them consists of up to 24 different master slides so that you can plump for the best layout for your information. The themes are available in two sizes: standard (4:3) and wide (16:9). Let us take care of the appearance of your slideshow, while you focus on the point you're making.